Music Worth Buying episode: Poolside's "Heat" and Prince's "Purple Rain"
On the latest episode of MUSIC WORTH BUYING, TJR champions the funky sounds of Poolside on the album Heat while Robert Kinsler celebrates the release of the deluxe and expanded version of Prince's Purple Rain. The band recently celebrated the special milestone with 20,000 close friends and family at two sold-out hometown shows, August 28th and 29th at Colorado's famed Red Rocks Amphitheatre. In late July 2015, the single, "S.O.B." received early support and heavy airplay across SiriusXM stations led by the Spectrum. The song soon reached #1 on Spotify's U.S. and Global Viral Charts and became a multi-format hit. Then, in early August, Nathaniel Rateliff & The Night Sweats made a game-changing, late-night national television debut on The Tonight Show starring Jimmy Fallon. Hailed for its intense and expressive jolt of R&B song craft, the vintage rock and soul album was greeted with ecstatic reviews here and around the world. For two solid years, Nathaniel Rateliff (vocals, guitar), Joseph Pope III (bass), Patrick Meese (drums), Luke Mossman (guitar), Mark Shusterman (keys) and Andy Wild (saxophone) have toured the globe relentlessly, headlining shows and major festivals including Coachella, Bonnaroo, New Orleans Jazz Fest, Newport Folk Festival, Glastonbury, Monterey International Pop Festival, and dozens more. 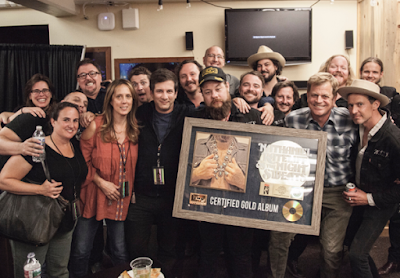 In addition, Nathaniel Rateliff & The Night Sweats made many memorable television appearances including: The Tonight Show (twice! ), The Late Show with Stephen Colbert, Jimmy Kimmel LIVE, CONAN, The Late Late Show with James Corden, Austin City Limits, and BBC's Later with Jools Holland among others. Just hours after officially releasing details about his much-anticipated new album Colors (due Oct. 13, 2017), Beck headlined in front of a pumped-up capacity crowd at the Orpheum Theatre in Vancouver BC, Canada on Thursday night, Aug. 24, 2017. His performance included a mix of his groundbreaking early-career hits (including his upbeat opener "Devil's Haircut," an extended sing-along of his breakthrough single "Loser" and explosively funky "Sexx Laws"), Americana- and atmospheric gems from the 2002 masterwork Sea Change and his 2014 multi-Grammy winner Morning Phase, and genre-defying material touching on soul, blues, hip-hop, folk, electronica and more. Grave" in Vancouver on Aug. 24, 2017. With an artistic spirit that somehow drew comparisons with the ambitious likes of Neil Young, David Bowie and Thom Yorke, loads of charisma to be sure and a freewheeling sound all his own, Beck upped his game with each moment. The fact he was backed by a musical ensemble as strong as any in rock (notably longtime allies keyboardist Roger Joseph Manning Jr. and guitarist Jason Falkner, both of Jellyfish fame) didn't hurt either. New members Dwayne Moore (bass) and Chris Coleman (drums) provided a solid rhythm section throughout the wide range of material. And the artistic visuals projected on the screen really enhanced each song. I've reviewed Beck on previous occasions and have always been impressed. But I have to say his show in Canada was the strongest performance by the artist I've ever seen. If you have tickets to see U2's string of upcoming dates in the U.S. (beginning Sept. 3 in Detroit and extending through Sept. 22 in San Diego), make sure to get there early since Beck is opening all those concerts. It has taken a few times seeing Beck for this writer to finally and fully get while the artist's shows are so unique. Like the albums the Los Angeles native has released across his 20+ year career, each song Beck delivers in concert is dramatically different from the song that precedes or follows. The sum of those brilliant and far-flung musical parts makes for a wonderful explosion best experienced in the concert setting. I've embedded a few videos below from Beck's performance in Vancouver to help showcase the power of his performance. The tracks highlighted are versions of his recent single "Wow" (one of the tracks set to be included on Colors), "The New Pollution" (a cut off his celebrated 1996 album Odelay); finally, prepare to have your mind blown via the haunting "Wave" off Beck's album Morning Phase. Labels: Beck, Chris Coleman, Concert Review, Dwayne Moore, Jason Falkner, Jellyfish, Roger Joseph Manning Jr.
On November 17, Morrissey will release Low in High-School (BMG), the iconic musician's first studio album since 2014 and his debut for BMG. This new partnership with BMG also marks the launch of Morrissey's new label, Etienne Records. The album will be released digitally and in physical formats: CD, colored vinyl, and limited-edition cassette. On his 11th studio album, Morrissey's talent for combining political statements and beautiful melodies is more prevalent than ever as he captures the zeitgeist of an ever-changing world. 'Low in High-School' was recorded at La Fabrique Studios in France and Ennio Morricone's Forum Studios in Rome. The record is produced by Joe Chiccarelli (Frank Zappa, The Strokes, Beck, The White Stripes). On November 10 and November 11, 2017, Morrissey will return to LA's iconic Hollywood Bowl, where fans will have one of the first opportunities to hear music from Low in High-School in concert along with many of his classic songs. More tour dates and information will be announced soon. General on-sale began on Friday, August 25 starting at 10 a.m. PST for the Nov. 10 show; tickets for the Nov. 11 show went on sale at 10 a.m. on Tuesday, Aug. 29. 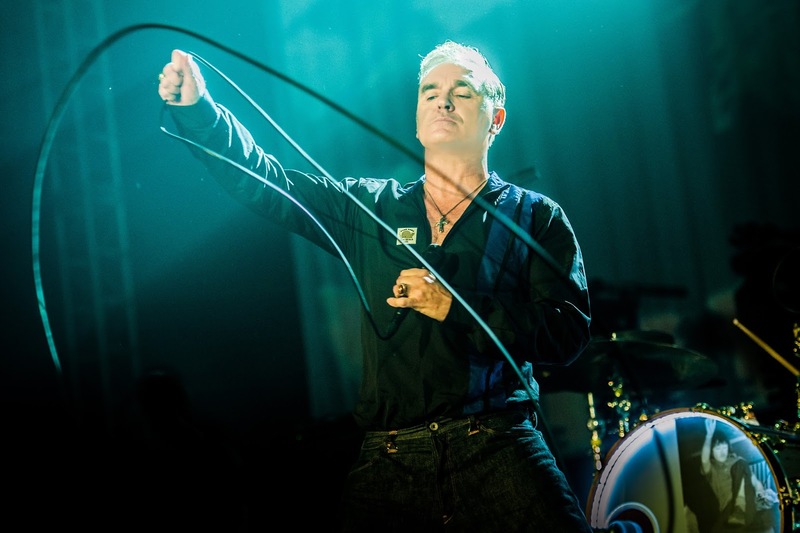 Recognized as one of the most influential artists of all time, Morrissey is widely credited as a seminal figure in the emergence of indie rock and Britpop. After The Smiths, Morrissey achieved greater success as a prolific solo artist. All 10 of his solo albums have entered the Top 10 on the UK album charts, including three entries at No. 1. Releasing his debut solo album 'Viva Hate' in 1988, he has since released a number of critically acclaimed follow-ups, including 'Kill Uncle,' 'Your Arsenal,' and the hugely successful comeback album 'You Are the Quarry' after a five-year hiatus in 2004. In 2013, Morrissey published his record-breaking autobiography on Penguin Classics, immediately topping the best-seller list with literary reviewers hailing it a masterpiece in writing and prose. Korda Marshall (EVP of BMG) said of the signing: "There are not many artists around today that can compare to Morrissey. He is an extraordinary talent. He is prodigious, literate, witty, elegant and above all, courageous. His lyrics, humour and melodies have influenced many generations. The music on this new landmark record will speak for itself and we are delighted to welcome him to BMG." On October 20, a special five LP box set deluxe version of The Smiths' The Queen is Dead will be released to celebrate what is perhaps the band's most iconic album. Two fantastic live albums featuring the Rolling Stones, an eagerly-anticipated return from power pop hero Matthew Sweet and an under-the-radar instrumental tribute to The Beatles courtesy of Jason Falkner make for an essential mix of releases available now. Tell me more: Previously available only as a stand-alone DVD release, it is wonderful that Ladies & Gentlemen… The Rolling Stones is finally available on audio CD and digitally (as an MP3 or via streaming). The 16-track performance captured during the band's four-night stint in Texas during the "Exile On Main Street" tour in 1972 stands as one of the British band's best performances. 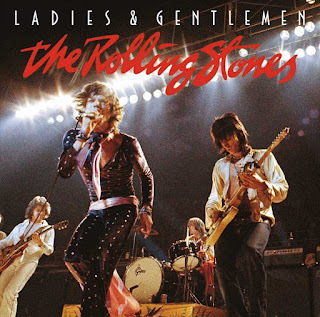 Indeed, many fans of the Rolling Stones consider the band's late '60s and early '70s material their strongest, and this performance is filled with standout tracks from their catalog delivered with passion and firepower. Listen no further than the wild "Brown Sugar," jaunty "Happy" (love Mick Taylor's guitar work on that one), introspective "You Can't Always Get What You Want" and rowdy "Street Fighting Man." Information: eagle-rock.com. 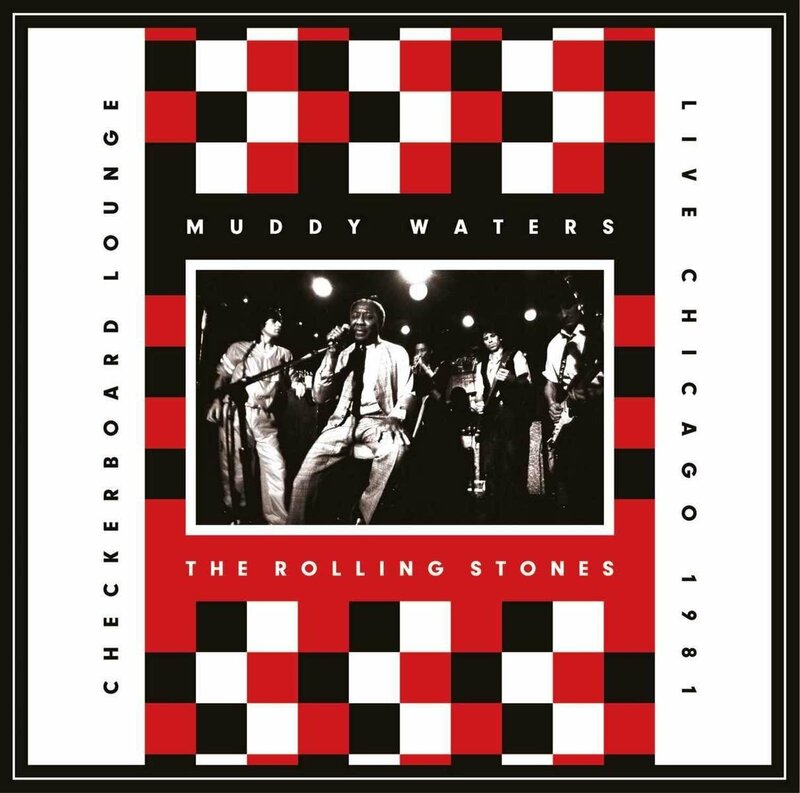 Tell me more: While the Rolling Stones' 2016 Blue & Lonesome celebrated the band's blues influences, a unique trek to Buddy Guy's intimate club in Chicago in November 1981 showcased a more immersive commemoration of the Rock and Roll Hall of Famers' links with blues music. 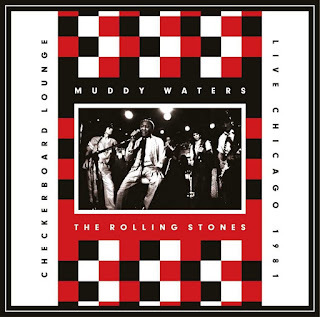 In the middle of the band's ambitious American tour that year (which attracted approximately 3 million concertgoers), the Rolling Stones dropped by the Checkerboard Lounge to see one of the group's most influential heroes, Muddy Waters, perform. It wasn't long before Mick Jagger, Keith Richards, Ronnie Wood and Ian Stewart were on stage performing with the legend. The quality is excellent, as are the loose and authentic performances. Standouts abound, with Muddy Waters' leading the charge on "You Don't Have to Go," members of the Stones joining Waters for animated takes on the bona fide blues classics "Baby Please Don't Go" and "Hoochie Coochie Man," and a true all-star ensemble with Waters and members of the Stones joined by Chicago blues greats Buddy Guy and Junior Wells for a frantic "Got My Mojo Workin'." Information: eagle-rock.com. 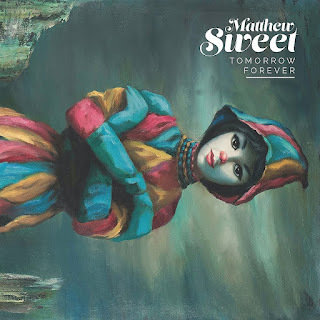 Tell me more: Prior to the release of Tomorrow Forever, power pop hero Matthew Sweet had not issued a new studio album since 2011. "Tomorrow Forever" finds Sweet back with a welcome vengeance, bolstered by a marathon-length 17-song collection that fits on a single audio CD disc but comes packaged as a double LP if you purchase it on vinyl. Sweet dealt with a number of life-changing events leading up to the release of Tomorrow Forever (including the death of his mother and a move from Los Angeles to Omaha, Nebraska), and there is a definite depth and purpose to the songs this time around. The driving "Trick," swirling psychedelic-edged "Entangled," tender "You Knew Me" (a beautiful tribute to his mother) and the longing rocker "Bittersweet." In addition to his long-time rhythm section (bassist Paul Chastain and drummer Ric Menck), guests on "Tomorrow Forever" include Debbi Peterson (drummer of the Bangles), Jason Victor (Dream Syndicate, Steve Wynn & the Miracle 3), Gary Louris (the Jayhawks), Val McCallum (Jackson Browne) and keyboardist Rod Argent (of The Zombies). Information: matthewsweet.com. Tell me more: Thanks to Jason Falkner's continuing high-profile role as a touring member of Beck's band and his acclaimed collaboration with R. Stevie Moore earlier this year (Make It Be), now is an excellent time to catch up on Falkner's previous releases. 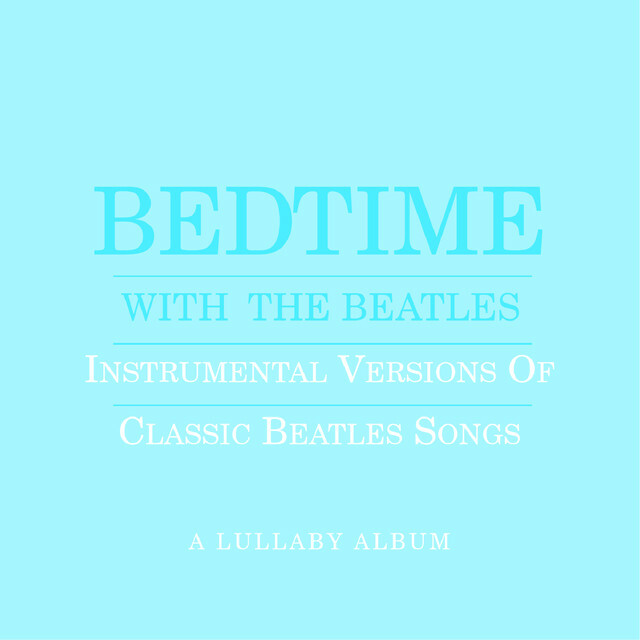 I was recently introduced to Falkner's 2001 release Bedtime With The Beatles, which features 11 instrumental versions of Fab Four classics. 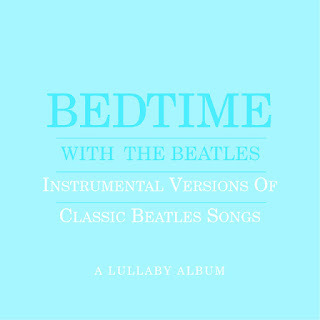 The Beatles' time-tested tunes are solid enough to have fueled an endless parade of tributes, but it are Falkner's singularly dazzling talents as multi-instrumentalist and arranger that make these artful versions rank alongside Laurence Juber's fingerstyle guitar recordings as the finest instrumental interpretations of Lennon/McCartney compositions I've heard. A lush "Across The Universe," haunting "I'm Only Sleeping," dreamy baroque take of "Here There And Everywhere" and gentle guitar-meets-keyboards dance of "In My Life" are among my favorites. But the truth is every track on the disc is outstanding. Information: JasonFalkner.net. The recent high-profile, successful return of Mystery Science Theater 3000 - better known as MST3K – is no surprise. When the original series ended in 1999 after more than a decade of thrilling television audiences, three of the key members of the original groundbreaking series carried on the brash brand of "riffing" (where they humorously comment on movies with well-timed digs and asides that are usually more entertaining than the films themselves) via the developing ability for audiences to stream video and complete downloads at home. RiffTrax has been so successful, that the celebrated RiffTrax team featuring Michael J. Nelson, Kevin Murphy and Bill Corbett has been featured in a series of more than two dozen special movie theater screenings . Most recently, the trio are featured in "RiffTrax Live: Doctor Who – The Five Doctors" that was shown in movie theaters across North America last night (Aug. 17, 2017), and returns for a repeat performance to movie houses across the continent at 7:30 p.m. on Thursday, Aug. 24, 2017. Theater in Nashville, Tennessee on Aug. 17, 2017. Yours truly was at the screening last night, and this was truly an entertainment experience that is the perfect blend of sci-fi heaven and smart comedy that was established during MST3K's initial run. With the cooperation of BBC, RiffTrax is able to riff throughout a theaterical showing of a special 1983 episode produced to celebrate the 20th anniversary of the enduring British sci-fi series "Doctor Who." The full-length episode is beloved by fans of the BBC series, but that doesn't mean Nelson, Murphy and Corbett can't get in plenty of their witty commentary in during the screening. In fact, you wouldn't have to be familiar with RiffTrax or Doctor Who to enjoy this experience. I didn't take detailed notes during the screening; it was dark and I was having far too much fun laughing (and I am thankfully not one of those idiots who turn on their cell phone when I am in a darkened theater...). But any screening where the far-flung likes of "Dark Shadows," "Buddy Holly," the Cleveland Browns' struggles (the team hasn't had a winning season since 2007), Christopher Lee, The Three Stooges, "Downton Abbey" and even Neville Chamberlain fit nicely into the comedic arc is a good reason to catch this in theaters next Thursday (Aug. 24, 2017). Oh, and arrive early. For the 30 minutes preceeding the film there were funny title cards blending more of the intelligent RiffTrax humor amidst a mixtape featuring songs from not only the RiffTrax cast, but "Weird Al" Yankovic and They Might Be Giants. NEW YORK - August 16, 2017 - To celebrate the Material Girl's birthday, MADONNA today announced that pre-orders for her REBEL HEART TOUR concert film will start from today. The film of the record-breaking tour will be released by Eagle Vision on September 15, 2017 on digital download, DVD and blu-ray complete with bonus content as well as a live album featuring 22 songs from the Rebel Heart Tour, available on double CD and digital download. 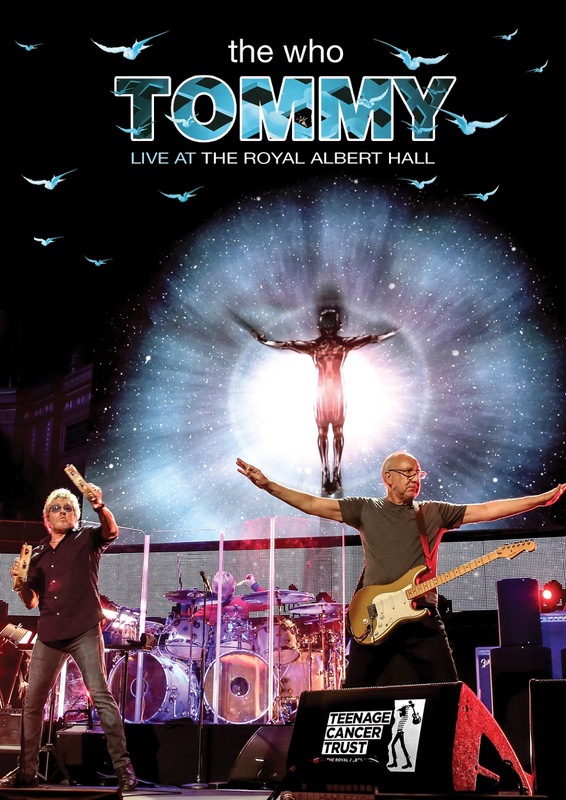 DVD and blu-ray versions come with an audio CD of highlights from the much-heralded tour. Preorders are available at physical and digital retailers around the world, and with exclusive merchandise bundles at madonna.com. Additionally, a live version of "Material Girl" is available today from all digital music services. 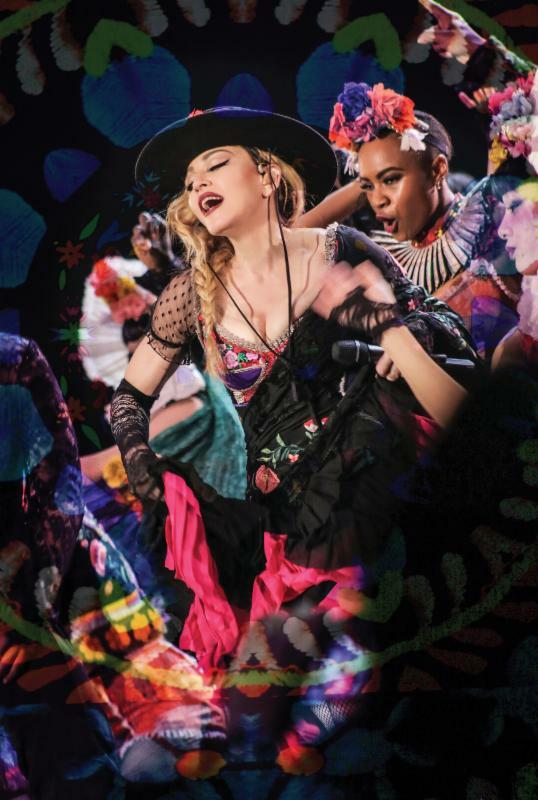 The MADONNA: REBEL HEART TOUR film was recorded around the world and features both live and behind the scenes material, as well as previously unreleased footage culminating with performances at the Sydney Qudos Bank Arena (formerly known as the Allphones Arena) in Australia in March of 2016. MADONNA: REBEL HEART TOUR film will also include rare footage from MADONNA: TEARS OF A CLOWN, the exclusive fanclub show in Melbourne, Australia featuring music, art and mischief. The show was a celebration of Madonna's return to Australia after 23 years. MADONNA: REBEL HEART TOUR was co-directed by Danny B. Tull and Nathan Rissman, both of whom have worked extensively with Madonna on her feature films and tour movies. The tracklist for MADONNA: REBEL HEART TOUR film and live concert album span all decades of the iconic superstar's illustrious career, including songs from her chart-topping Rebel Heart album to classic fan favorites. A complete tracklist can be found below. 01. An Excerpt from "Tears Of A Clown"
Produced by Live Nation Global Touring, the Rebel Heart Tour kicked off on September 9, 2015 in Montreal and visited arenas in 55 cities on four continents over seven months. Madonna performed 82 shows, plus the special "Tears Of A Clown" fan club show in Melbourne. The tour grossed $169.8M with 1,045,479 in attendance, making her the top grossing touring female artist in the history of Billboard Boxscore with over $1.31 billion in tickets sold over the course of her career. Madonna is also the fourth top grossing touring act since tracking began in 1990. The Rebel Heart Tour was directed by Jamie King with musical direction by Kevin Antunes (with band keyboardist Ric'key Pageot, drummer Brian Frasier-Moore, guitarist Monte Pittman, and background vocalists Kiley Dean and Nicki Richards), lead choreography by Megan Lawson, hair by Andy LeCompte, makeup by Aaron Henrikson, and costume design by Arianne Phillips. 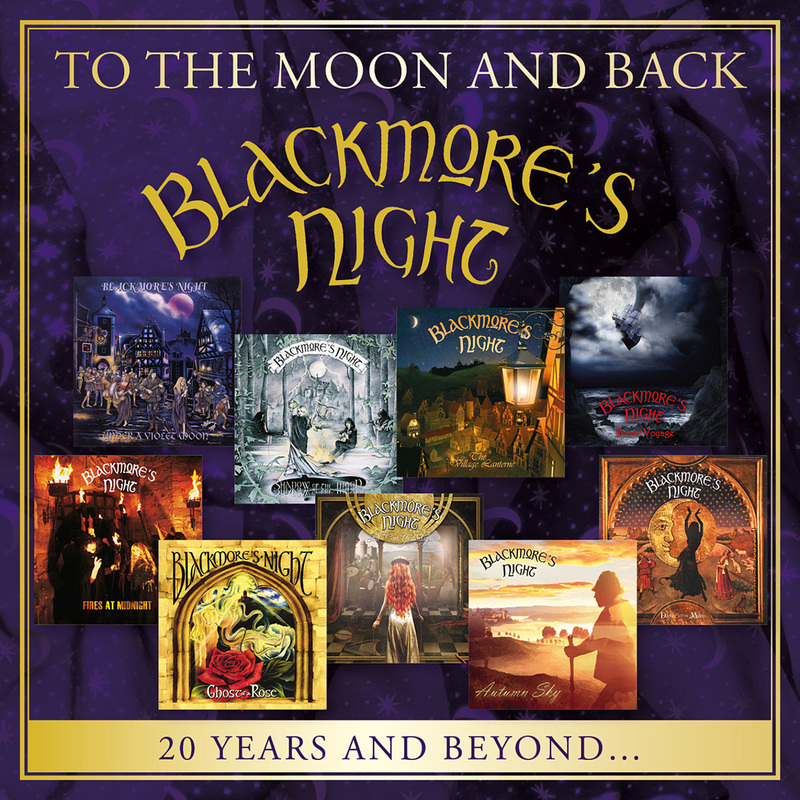 To The Moon And Back boasts three brand new songs: “Ghost Of John”, which proudly introduces the vocals of Autumn Blackmore (the 6-year daughter of Blackmore and Night) at the close of the song, Blackmore’s “Land Of Hope and Glory” (a reworking of British patriotic anthem “Pomp And Circumstance March No. 1” written in 1902), and a cover of favored Rainbow tune “I Surrender”, with Nightproviding the vocals. The magic of Blackmore’s Night is their ability to transport the listener to a bygone era, gathered around a fire or in an old renaissance tavern. Their sold-out concerts resemble that era, with band and fans alike decked out in Renaissance garb, losing themselves in the mirth of the music. This ambiance is created via Blackmore’s dexterous movement between acoustic and electric guitar, mandolin, mandola, cello, and hurdy gurdy, Night’s ethereal vocals and command of seven medieval woodwind instruments (bagpipe, chanters, shawms, and pennywhistles, to name a few), and the consummate musicianship of keyboardist/back-up vocalist Bard David, violinist Scarlett Fiddler, back-up vocalist/shawm player Lady Lynn, bassist/rhythmic guitarist Earl Grey, and percussionist Troubadour of Aberdeen. 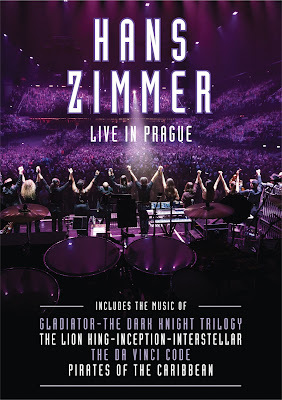 One of the most successful film music composers working today, Academy Award-winner Hans Zimmer (The Lion King) will be presented on multiple formats when Live In Prague is released on November 3 via Eagle Rock Entertainment. 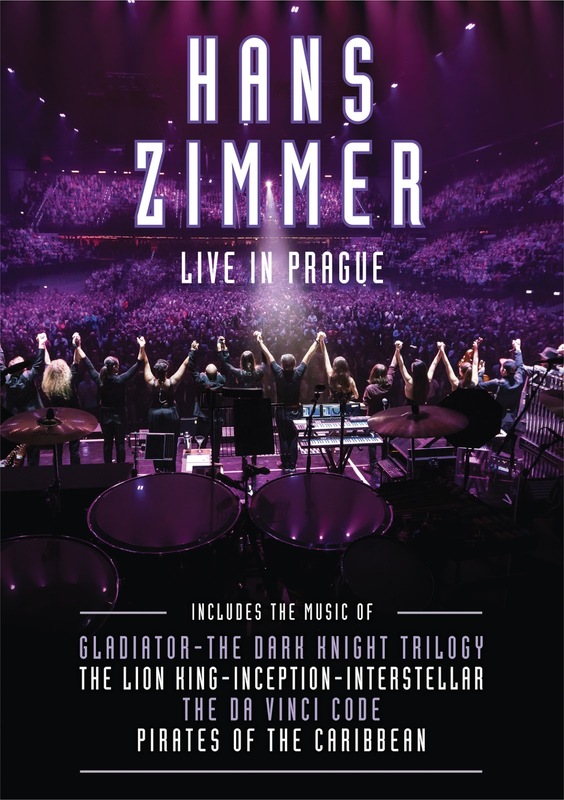 Live In Prague (on DVD, Blu-ray, 2CD, and 4LP) features themes from: Gladiator, Interstellar, The Da Vinci Code, Pirates Of The Caribbean, Sherlock Holmes, The Dark Knight Trilogy, The Lion King, Crimson Tide, Inception, Rain Man, Driving Miss Daisyand more! This concert was filmed on May 7, 2016 in Prague during Hans Zimmer’s hugely successful European concert tour. Zimmer was accompanied by a band, orchestra and choir, 72 musicians in total, including guitarist Johnny Marr (of The Smiths). The staging was spectacular with a ground-breaking light show, stunning visuals, and a state-of-the-art sound system. Hans Zimmer performs on multiple instruments and gives introductory insights to many of the pieces during the concert. With a multi-award winning career reaching back to the mid-eighties, Zimmer(whose film scores have also earned 2 Golden Globes, 4 Grammys, 4 Satellite Awards, 3 Saturn Awards and 3 Classical Brit Awards along with many more nominations), has developed close working relationships with renowned directors such as Ridley Scott, Tony Scott, Michael Bay, Ron Howard, Gore Verbinski and Christopher Nolan. His credits include some of the biggest blockbuster movies of all time along with acclaimed TV series such as The Crown and Planet Earth II. This year, Hans Zimmer has toured across Europe and he takes his show to North America this summer. He has also written the score for the new Christopher Nolan film Dunkirk, which is expected to be one of the biggest films of 2017. Live In Prague is both a celebration of a rare talent and a treat for lovers of both great music and revered films.